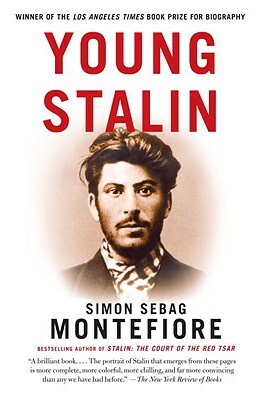 This revelatory account unveils how Stalin became Stalin, examining his shadowy journey from obscurity to power—from master historian Simon Sebag Montefiore. Based on ten years of research, Young Stalin—companion to the prizewinning Stalin: The Court of the Red Tsar—is a brilliant prehistory of the USSR, a chronicle of the Revolution, and an intimate biography. Montefiore tells the story of a charismatic, darkly turbulent boy born into poverty, scarred by his upbringing but possessed of unusual talents. Admired as a romantic poet and trained as a priest, he found his true mission as a murderous revolutionary. Here is the dramatic story of his friendships and hatreds, his many love affairs, his complicated relationship with the Tsarist secret police, and how he became the merciless politician who shaped the Soviet Empire in his own brutal image. Described by The New York Times as "a meticulously researched, autoritative biography," Young Stalin is essential reading for anyone interested in Russian history.